If sleep were a credit card company, many of us would be in deep trouble. Medical evidence suggests that for optimum health and function, the average adult should get seven to nine hours of sleep daily. But more than 60% of women regularly fall short of that goal. Although each hour of lost slumber goes into the health debit column, we don't get any monthly reminders that we've fallen in arrears. In fact, the greater the sleep debt, the less capable we are of recognizing it: Once sleep deprivation — with its fuzzy-headedness, irritability, and fatigue — has us in its sway, we can hardly recall what it's like to be fully rested. And as the sleep debt mounts, the health consequences increase, putting us at growing risk for weight gain, diabetes, heart disease, stroke, and memory loss. In some cases, sleep debt results from insomnia or other underlying conditions that may require medical attention. But most sleep debt is due to burning the candle at both ends — consistently failing to get to bed on time and stay there until we've slept enough. Fortunately, sleep doesn't charge interest on the unpaid balance, or even demand a one-for-one repayment. It may take some work, but you can repay even a chronic, longstanding sleep debt. We need sleep, and, in a sense, we're programmed to be sure that we get it. The body summons sleep in two ways: by boosting circulating levels of the neurotransmitter adenosine and by sending signals from the circadian clock, which controls the body's daily rhythms. Together, these two systems establish an ideal bedtime for each of us. Adenosine is partly a by-product of the cells' energy expenditure. As our cells produce power to move us through the day, adenosine is released into the bloodstream and taken up by receptors in the brain region that governs wakefulness (the basal forebrain). There, it acts like a dimmer switch, turning down many of the processes associated with wakefulness, such as attention, memory, and reactions to physical stimuli. As brain levels of adenosine mount, we feel drowsier. (Caffeine keeps us awake by blocking adenosine receptors in the brain.) When we sleep, our energy needs fall, and the level of circulating adenosine drops. After a good night's sleep, the level is at its lowest, and we are most alert. The circadian clock regulates all body functions — not just the pattern of sleeping and waking during the 24-hour cycle, but also fluctuations in body temperature, blood pressure, and levels of digestive enzymes and various hormones. Most of us experience a major "sleepiness" peak between 12 a.m. and 6 a.m. and a minor one between 2 p.m. and 4 p.m. Of course, individuals vary. The larks among us might be ready for bed at 9 or 10 p.m. and awake at 5 a.m., while some night owls don't fall asleep until well after midnight and prefer sleeping until noon. Create a sleep sanctuary. Reserve it for sleep, intimacy, and other restful activities, like pleasure reading and meditation. Keep it on the cool side. Banish the television, computer, Blackberry, and other diversions from that space. Nap only if necessary. Night owls and shift workers are at the greatest risk for sleep debt. Napping an hour or two at the peak of sleepiness in the afternoon can help to supplement hours missed at night. But naps can also interfere with your ability to sleep at night and throw your sleep schedule into disarray. If you're able to get enough sleep but don't feel refreshed in the morning, discuss the problem with your clinician. Many common medical conditions, from depression to sleep apnea (the condition in which breathing pauses during sleep), could be responsible. 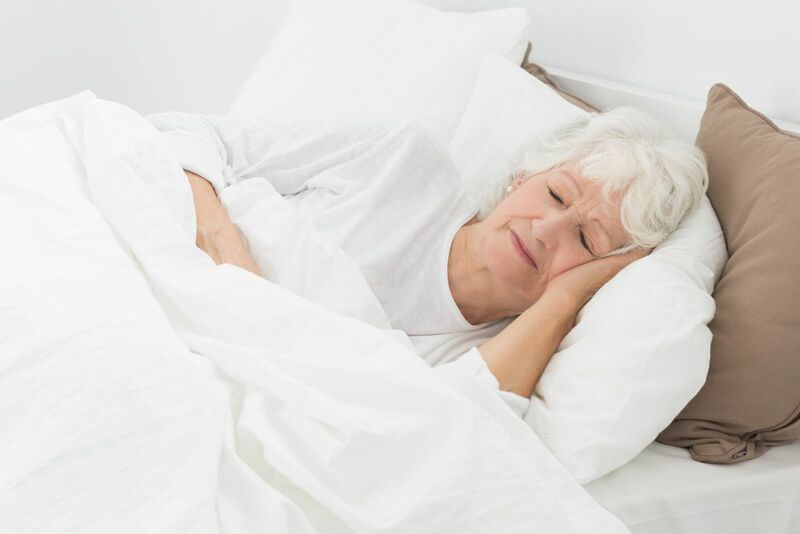 If you're finding it increasingly difficult to get enough sleep but don't have an underlying medical problem, consider consulting one of the 1,100 sleep centers accredited by the American Academy of Sleep Medicine (www.sleepeducation.com). Although sleep doesn't trump food and water in the hierarchy of physical needs, we can't live without it. Given the ethical limits on research involving human subjects, scientists have no direct evidence on how extended sleeplessness — that is, beyond a few days — affects human beings. Laboratory rats, however, have been deprived of sleep for long periods, and after a week or two, the results include loss of immune function and death from infections. In a landmark study of human sleep deprivation, University of Chicago researchers followed a group of student volunteers who slept only four hours nightly for six consecutive days. The volunteers developed higher blood pressure and higher levels of the stress hormone cortisol, and they produced only half the usual number of antibodies to a flu vaccine. The sleep-deprived students also showed signs of insulin resistance — a condition that is the precursor of type 2 diabetes and metabolic slowdown. All the changes were reversed when the students made up the hours of sleep they had lost. The Chicago research helps to explain why chronic sleep debt raises the risk of obesity, heart disease, stroke, and diabetes. Sleep loss exacts a toll on the mind as well as the body, as shown by a study done at the University of Pennsylvania and Harvard Medical School. The researchers studied 48 healthy men and women, ages 21 to 38, who had been averaging seven to eight hours of sleep nightly. They assigned three-quarters of the volunteers at random to three different groups that slept either eight, six, or four hours nightly; a fourth group agreed to go without sleep for three days. Every two hours during their waking periods, all the participants completed sleepiness evaluation questionnaires and took tests of reaction time, memory, and cognitive ability. Over the course of two weeks, reaction times in the group that slept eight hours a night remained about the same, and their scores on the memory and cognitive tasks rose steadily. In contrast, scores for the four-hour and six-hour sleepers drew closer to those of the fourth group, whose scores had plummeted during their three days without sleep. After two weeks, the four-hour sleepers were cognitively in no better shape than the sleepless group after its first night awake. Their memory scores and reaction times were about on par with those of the sleepless after their second consecutive all-nighter. The six-hour sleepers performed adequately on the cognitive test but lost ground on reaction time and memory, logging scores that approximated those of the sleepless after their first night awake. Meanwhile, the six-hour and the four-hour sleepers were failing to gauge reliably how sleepy they had become. At the end of the study, their self-rated sleepiness scores were leveling off, even as their performance scores continued to decline. Scientists have documented the debilitating effects of sleep deprivation very well, but they still know little about how sleep accomplishes its restorative handiwork. Since the earliest sleep studies, encephalography (EEG) has been used to trace the brain waves of volunteers as they slumber. EEG readings have revealed several distinct phases of sleep characterized by different brain-wave patterns. Information derived from subsequent sleep studies has enabled researchers to correlate brain activity with other physiological processes. Today, sleep laboratories are equipped to evaluate heart rate, blood pressure, oxygen levels, breathing, eye movement, muscle tension, and limb movement. The studies show that there are two forms of sleep, distinguished by specific brain-wave activity and the presence or absence of rapid eye movement (REM). During non-REM sleep, brain waves become slower and more synchronized, and the eyes are still; during REM sleep, brain waves are faster and less organized, and the eyes scan back and forth under the lids. We fall into non-REM sleep in four stages that represent a continuum of shallow to deep sleep. In Stage 1, characterized by relatively fast waves, we are perched on the brink of sleep and are readily aroused. By Stage 4, or slow-wave sleep, we are dead to the world; breathing has slowed considerably and blood pressure and heart rate have dropped by as much as 30%. The brain becomes less responsive to external stimuli, making it difficult to awaken. Although most of the body's systems are in "sleep mode" at this stage, some are at their most productive. Early in Stage 4 sleep, for example, the pituitary releases a pulse of growth hormone that stimulates tissue growth and repair. REM sleep sets the stage for dreams. Our eyes are scanning back and forth, but our skeletal muscles are paralyzed, perhaps to keep us from acting out our dreams. REM sleep also nurtures cognition and problem solving. Studies have shown that people learning a new physical task will improve their performance overnight, but only as long as they get sufficient REM sleep. A typical night's sleep consists of four or five REM/non-REM cycles with occasional, brief episodes of wakefulness. Most Stage 4 sleep occurs during the first two to three hours of sleep. As morning approaches, REM sleep occupies an increasing share of slumber. Sleep cycles are mapped on what's known as a hypnogram, a sort of bar graph for sleep stages (see illustration). Because the hypnogram looks like a city skyline, the sleep patterns that it records are dubbed "sleep architecture." Like the urban landscape, sleep is reshaped over time. At age 20, we spend an average of 7.5 hours a night sleeping — with about 90 minutes each of REM and deep sleep — and we're awake, intermittently, for about 18 minutes. By the time we're 60, we're only sleeping 6.2 hours a night. REM sleep has fallen to about 75 minutes; deep sleep to less than 40; and on a typical night, we're awake for 44 minutes, on average. However, we don't outgrow our need for sleep; it's just harder to come by. When experts chart sleep stages on a hypnogram, the different levels resemble a drawing of a city skyline. This pattern is known as sleep architecture. The hypnogram above shows a typical night's sleep of a healthy young adult. Women often find it difficult to make up sleep lost while caring for infant children, juggling family and career, and weathering the perturbations of menopause. Even those who are fortunate enough to reach midlife fully rested may find themselves gradually slipping into the debit column after age 60. Settle short-term debt. If you missed 10 hours of sleep over the course of a week, add three to four extra sleep hours on the weekend and an extra hour or two per night the following week until you have repaid the debt fully. Address a long-term debt. If you've shorted yourself on sleep for decades, you won't be required to put in a Rip Van Winkle–like effort to repay the hours of missed slumber. Nonetheless, it could take a few weeks to recoup your losses. Plan a vacation with a light schedule and few obligations — not a whirlwind tour of the museums of Europe or a daughter's wedding. Then, turn off the alarm clock and just sleep every night until you awake naturally. At the beginning, you may be sleeping 12 hours or more a night; by the end, you'll be getting about the amount you regularly need to awake refreshed. Avoid backsliding into a new debt cycle. Once you've determined how much sleep you really need, factor it into your daily schedule. Try to go to bed and get up at the same time every day — at the very least, on weekdays. If need be, use weekends to make up for lost sleep. And don't forget to follow the tried and true rules of sleep hygiene described above, in "Advice for avoiding sleep deprivation." How can I tell if I'm sleeping enough?